Bhubaneswar: Much to the glee of its rivals, the Congress in Odisha seems intent on committing hara-kiri with elections knocking at the door. 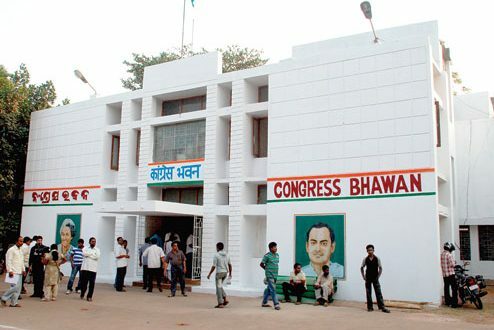 The resignation of Jharsuguda MLA, Naba Kishore Das, who is all set to join the Naveen Patnaik-led Biju Janata Dal (BJD), could not have come at a worse time for the party’s state unit, which is busy preparing for AICC president Rahul Gandhi’s upcoming visit on January 25. The damage control exercise that the leadership mounted, by suspending Sundergarh MLA Jogesh Singh, who has been accused of indulging in anti-party activities, is unlikely to have much of an impact as the action came slightly late in the day. If Congress insiders are to be believed, at least six more sitting MLAs are likely to quit and join the BJD. Uncertain of their future in the party, they have been in touch with the ruling party for some time and may change sides any moment now. The mess that the Congress finds itself in Odisha is of its own making. The leadership’s failure to stem factionalism and put up a united face during elections has been its biggest problem and primarily responsible for the downslide in its fortunes. For the last few years, the state leadership has been utterly lacklustre and the indifference of the All India Congress Committee (AICC) towards Odisha affairs has not helped. The AICC, it would appear, has been tentative in its approach towards the state party, instead of sincerely trying to fix its problems. When Jaydev Jena was the state Congress president, he faced a lot of resistance from factional groups that saw him as a threat to their ambitions. Despite trying his best, he failed to persuade warring leaders to bury the hatchet in the larger interest of the party. Though hard working, he lacked charisma and finally had to go under controversial circumstances. Much more controversial was the tenure of Prasad Harichandan, who began his innings with a lot of promise, coining the slogan of “mun nuhen amein ” (We not I) that was seen as an expression of his intention to take all sections of the party along with him. Ironically, factionalism in the party entered its worst phase during his tenure and the chasm between Odisha Pradesh Congress Committee (OPCC) and the Congress Legislature Party (CLP) widened so much that party MLAs raised the chorus for his ouster almost in unison. The incumbent OPCC chief, Niranjan Patnaik, who succeeded Harichandan, is widely seen as a resourceful leader but even he has failed to stem the rot that is deep rooted the party. Squabbling party leaders have embarrassed him repeatedly with Koraput MLA, Krushna Chandra Sagaria quitting his Assembly seat apparently at the behest of Patnaik-baiters. Though Sagaria’s resignation from the State Assembly with only a few months left for the elections entailed no big sacrifice on his part, the message went out loud and clear that Congress was not united even under the new leadership. Then followed bouts of unseemly recrimination between Patnaik and former Union Minister, Srikant Jena who, stung by his removal from the post of Manifesto Committee chairperson, did not hesitate in speaking against the OPCC chief. AICC’s intervention has led to an uneasy truce between them. The latest developments only confirm that top Congress leadership, with its ad hoc and tentative approach, has failed to arrest the slide of the party in the state. With elections round the corner, Congress in Odisha seems to be staring at an uncertain future.